Nobia UK reduces new-starters time-to-competency with Totara Learn and HowToMoodle; resulting in time savings, revenue generation and staff retention rates. Nobia UK is the UK's leading kitchen specialist, with well-known brands such as Magnet, Gower and Rixonway. They have over 3,000 members of staff and were keen to help enhance and transform their induction and staff development programmes. Magnet Retail is Nobia UK's kitchen retailer with over 200 stores and 2,000 members of staff nationwide. With a high turnover of staff, relying on face-to-face training for their induction programmes was extremely time consuming and resulted in staff being brought in from across the UK and Europe for induction classroom workshops. Nobia UK found that ensuring consistency of training in-store was challenging as it relied on local experience and knowledge - which not every member of their team had. As well as this, line managers were required to manually print certificates and produce reports on their learners' performance. "One of the things that is great about Totara Learn is being able to introduce a bit at a time, rather than a system that shows everything and then is difficult to understand." Due to Nobia UK's specific requirements and challenges which needed to be faced, as well as the large scale of their organisation, HowToMoodle recommended Totara Learn as their new learning management system. 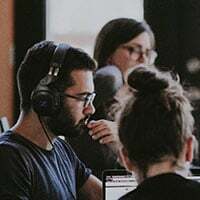 HowToMoodle recommended Totara Learn due to its feature-rich offering and flexibility and freedom which comes from the open-source software. The company had a straightforward approach to implementation, and started off slowly - using only they key feature areas needed. They then gradually added more functionality as the solution progressed. Specific aspects of Totara Learn that have been of exceptional benefit to Nobia UK include Hierarchies, Programs, and Reporting and Dashboards due to the targeting, management, admin and organisational benefits. HowToMoodle supported the Nobia UK team throughout the implementation, thorugh delivering training and configuration to ensure the go-live was a success. HowToMoodle's design team also created a mobile-friendly, responsive branding for the site which perfectly matches Nobia UK's corporate website. "HowToMoodle were very supportive and open with us from day one. We have a collaborative relationship and that vital concept of being able to work together came across from the beginning." 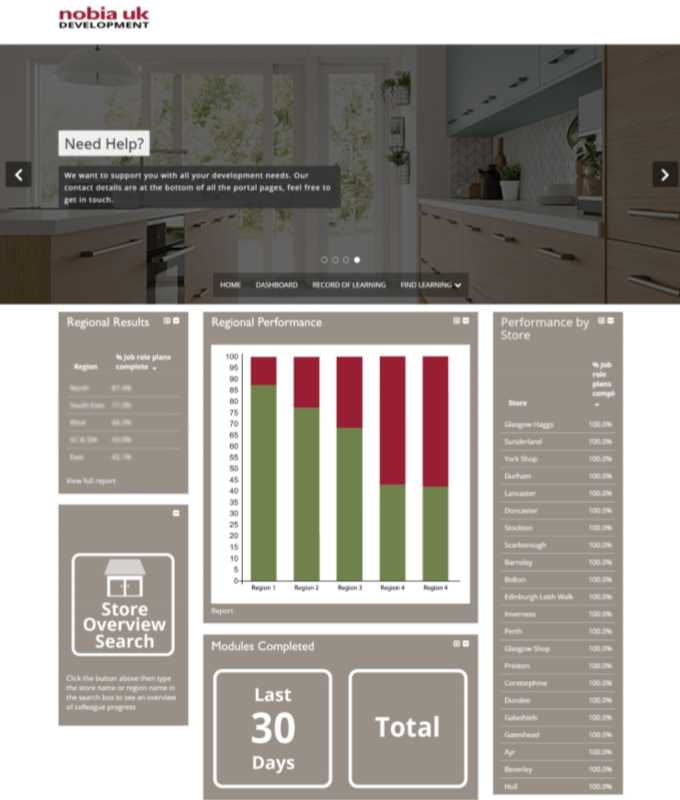 Nobia UK have had a fantastic response since implementing Totara Learn from both managers and their team members. From using Totara Learn, the company has achieved and exceeded their objectives within just six months of launch! 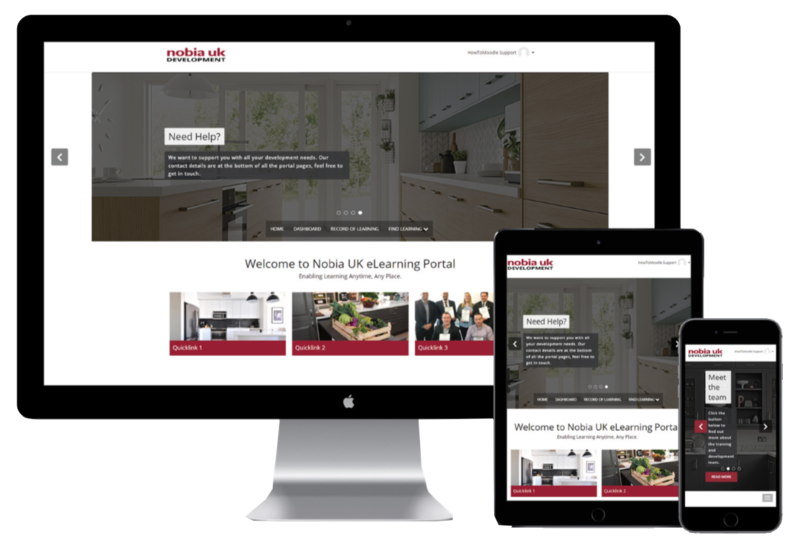 "Since launching Totara Learn, Nobia UK has reduced it’s time-to-competency resulting in each employee generating a significant amount of additional revenue."